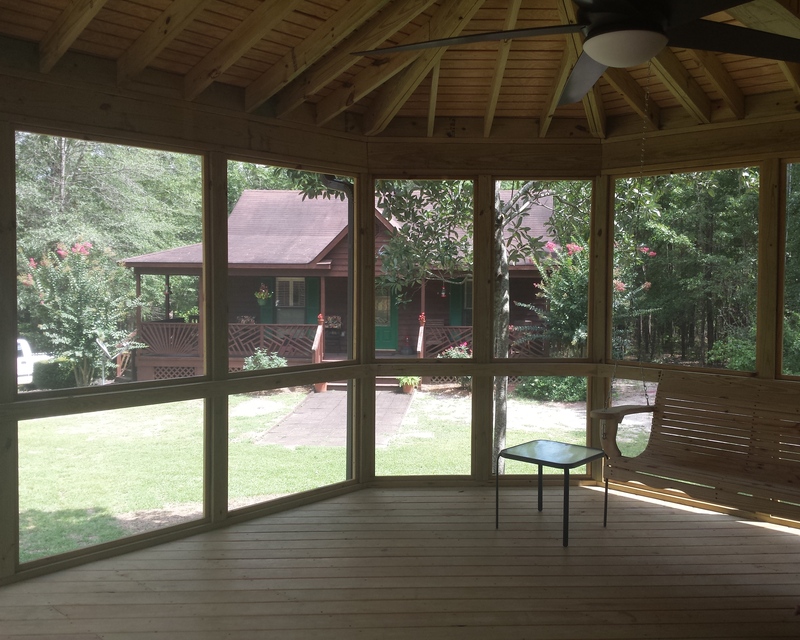 If a new screened porch is calling your name, listen! 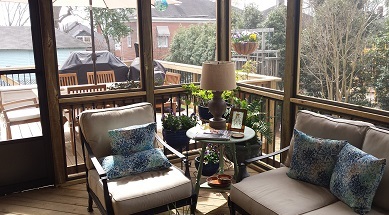 Here in the Macon and Warner Robins area, we do enjoy our screened porches. You could even say we fall into two groups of people — those who have a screened porch and those who are thinking about what kind of screened porch they want. 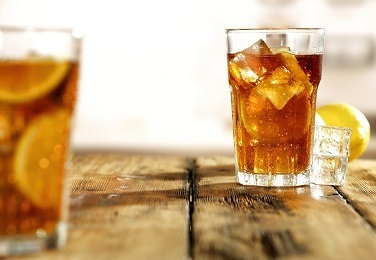 As the evening air starts to change from summer — hot, humid and oppressive — to fall — pleasant, breezy and downright comfortable — it may be a shock at first. We’ve become accustomed to bracing ourselves automatically against the Georgia heat for months. The change will be subtle and gradual, but once it starts, the cooling-off time quickly rolls on into full-on fall. 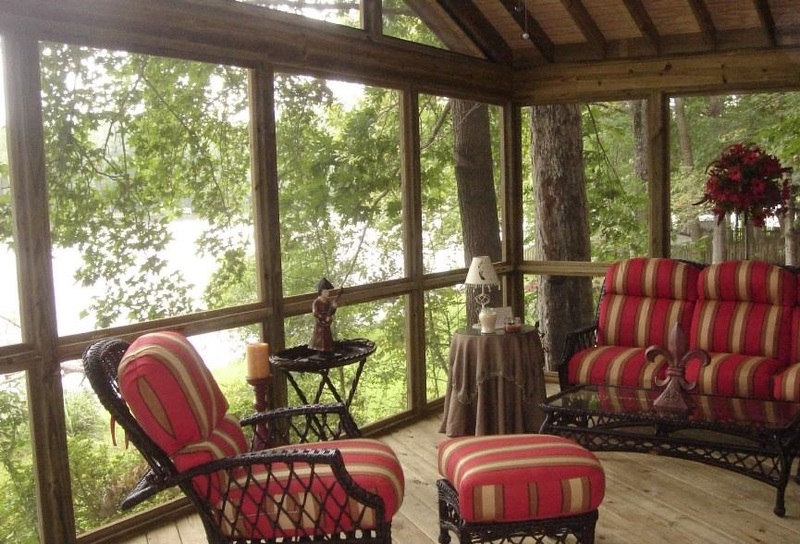 That kind of weather can make you long for a screened porch. There is no better time to sit out on a porch and enjoy the outdoors (except maybe spring). What’s more, given the mild winter temperatures here, you can enjoy a screened porch just about year-round. If you add a porch swing or a glider, a glass of iced tea, a good book and a lamp — or some family and neighbors to sit with — even darkness won’t drive you indoors. On the other hand, if you have a porch with no screens, what may drive you indoors are the insects. We know about some of the viruses mosquitoes can carry. Even more immediate is the discomfort of bug bites and stings. And if you try to eat outside, you’ll soon meet the ants and the flies. 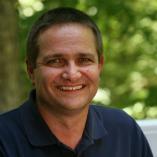 When it comes to pests, there is a huge difference between an open porch and a screen porch. While insects can be beneficial as part of the natural ecosystem, that doesn’t mean we want them flying around our food or biting us for their next meal. Are you thinking about adding a screened room within your existing outdoor living space? There are many options, depending on what kind of outdoor living environment you already have. 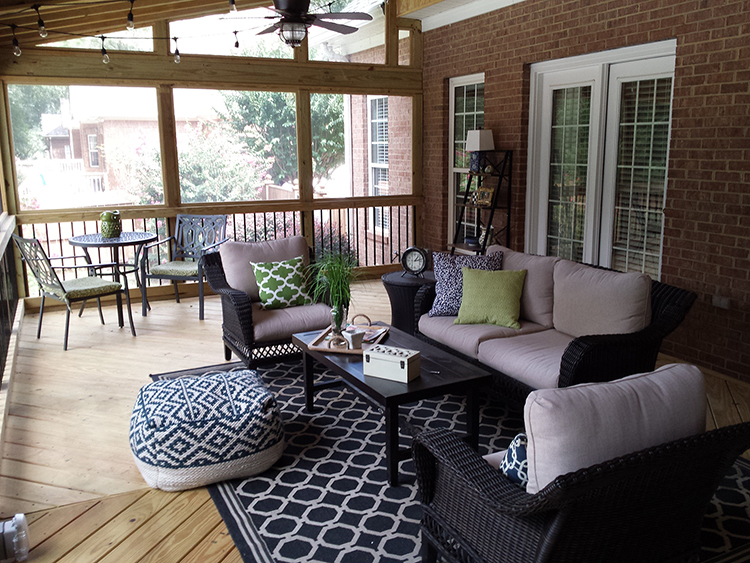 Archadeck of Central Georgia can convert a covered porch or even a deck into a screened porch. We can also frame and enclose a patio (or a portion of it) with screening, if that’s your choice. The best way for us to help you discover potential areas at your home where you might add a screened porch is for us to meet you there for a free design consultation. There is no obligation on your part. We bring the benefit of more than 25 years of experience doing exactly this. We listen to people describe what they want in the way of outdoor living spaces and structures. Then we work with them to design the space that meets their needs. We can show you photos of our past projects as a jumping-off point. You will be amazed. At Archadeck of Central Georgia, we talk a lot about decks and patios and combination outdoor living spaces. But sometimes all you need is a screened porch. It can be that simple. If you want a screened porch to enjoy this fall, the best time to call us for a free design consultation is now. The sooner you call, the sooner we can get started on your porch. You can reach us by phone at (478) 745 – 2000 or via email at [email protected].